How do I uninstall the Client Tool? 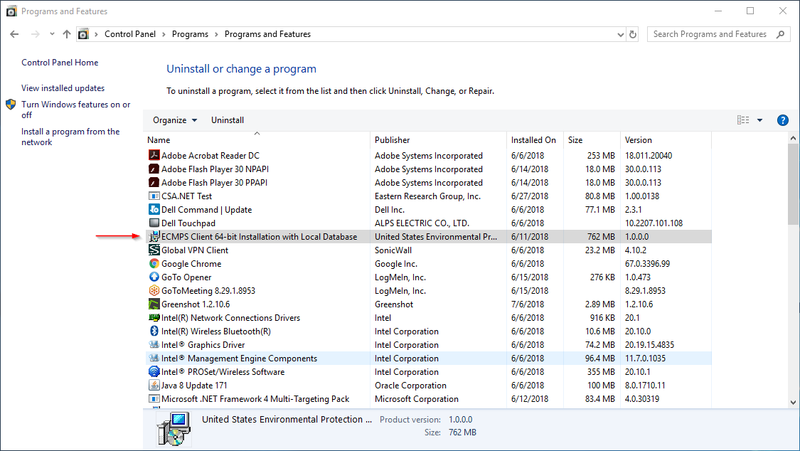 The Client Tool should be uninstalled using the "Add or Remove Programs" or “Uninstall a program” functionality in Windows. To access that functionality, click Start | Control Panel. A screen similar to the one shown below should appear. 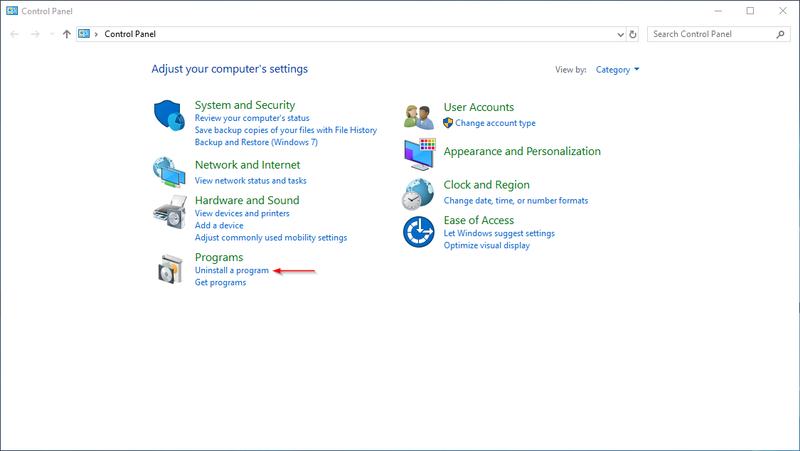 Double-click on the "Add or Remove Programs" or “Uninstall a program” icon. The following items should be be removed by highlighting it in the list and clicking the "Remove" or “Uninstall” button. 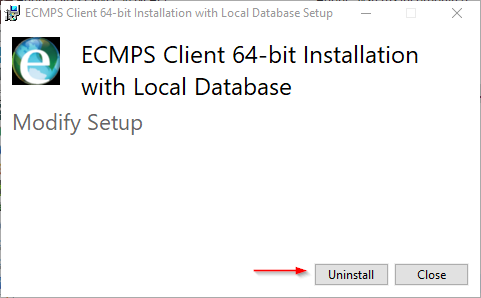 Initiate the uninstall process by selecting the “Uninstall” button within the ECMPS dialog. What versions of Windows does the Client Tool run on? How do I initialize the database? How can I add integrated security to a shared database? Can I install the Client Tool on a computer with a 64-bit processor?